Say thanks to make a great first impression and make customers want to come back and shop again. 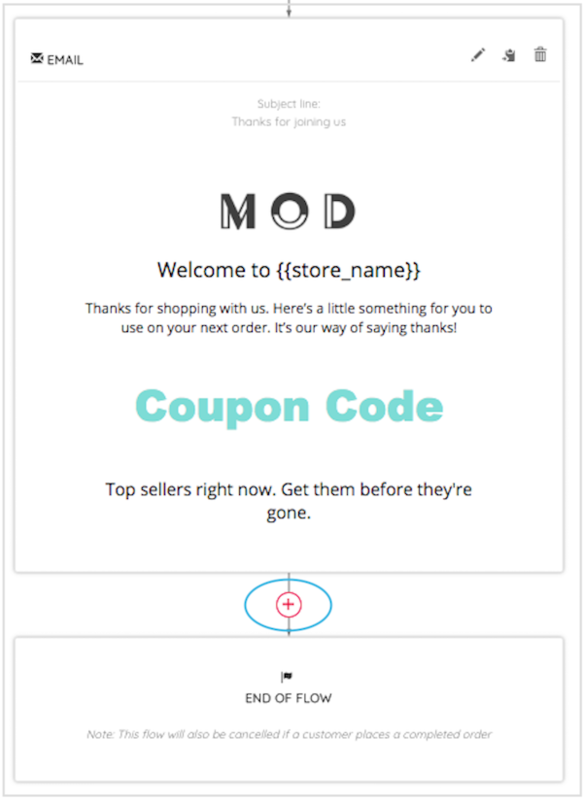 Sell more to first-time customers by sending them a thank you coupon to use on their next purchase. Optimize your flow for performance by editing the content of emails, and adjusting delays. 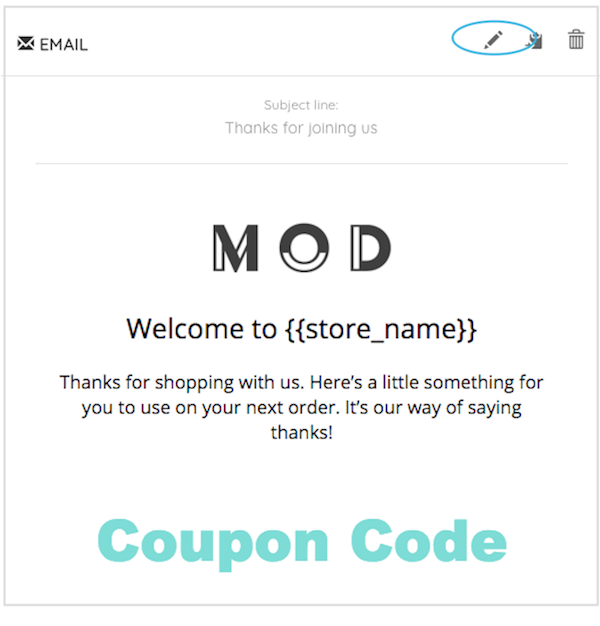 Encourage customers to use their thank you coupon by adding delays and emails to the flow and increase the chance of another sale. 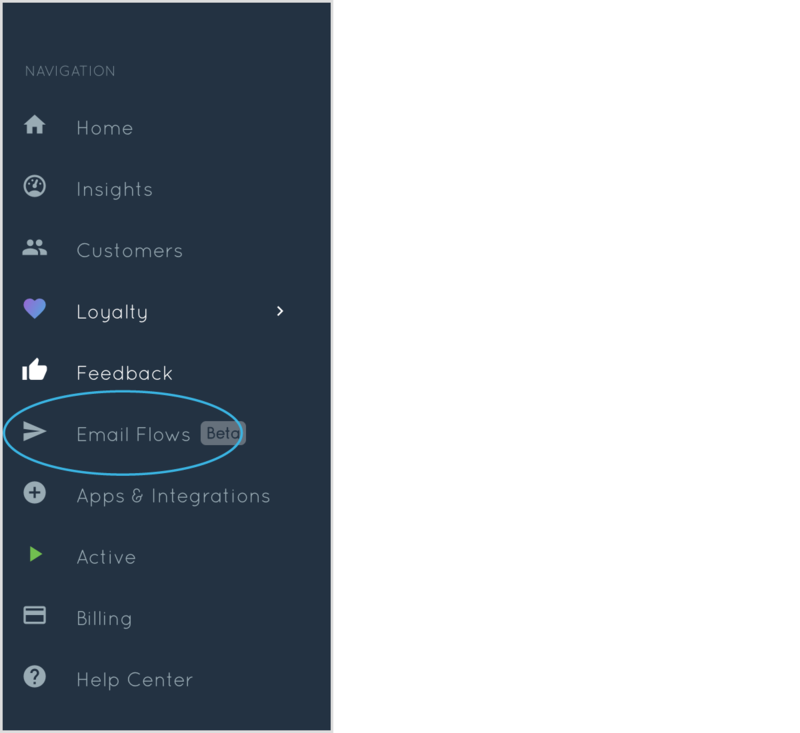 Make sure that you put a delay between emails in the flow or Marsello will send your customer multiple emails at once. Here you can adjust the blocks and ordering of your email flow. Monitor flow performance, and continue to make improvements to get the best results! 📝Note: In order for this email flow to send to first-time customers, it should trigger when order count equals 1.